How Much Does a Weed Dealer Make? From the outside, selling marijuana might seem like a dream job. You get constant access to bud, you make your own hours, you get high when you want…what’s not to like? But how much does that weed dealer—whether we’re talking about “your guy” or the weed store—make off your loyal patronage? How big are those profit margins? Let’s take a look. Black market sales, by definition, vary not just widely, but wildly and are notoriously unstable. Prices can change almost instantly with a reduction in supply due to a big bust or the seasonal fluctuations in supply (harvest time almost always means lower prices). Having said that, let’s examine typical black market marijuana profits. One weed dealer, we’ll call him “Frank,” who’s on the small-time end of the scale, reports buying a quarter-pound at a time for about $1,000 each. In Frank’s region, weed costs roughly $50 an eighth, $100 a quarter, and $350 an ounce (it takes buying a whole ounce to get a price break). If he ounces out the QP, he’ll make $400 profit ($100 per ounce). But in the somewhat less likely scenario that he breaks it all into eighths, that would be a $600 profit ($150 per ounce). Not bad for a $1,000 investment. To get a sense of the work, Frank has 10-12 customers, “four or five” of which he describes as “good, frequent” customers who come “every day or every other day.” He reports $200 is the most he’s made off a single transaction. Once again, prices are all over the map (literally) on legal weed. It’s a dynamic market, despite the onerous regulations which often hobble it in many locations. At one of my favorite shops in Seattle, the budget ounces are as low as $60, and the top shelf stuff goes for up to $420 an ounce. Those prices reflect what the shop had to pay the processor, and before that, what the processor had to pay the grower. The reality is that marijuana retailers face many challenges regular stores don’t. With restrictions on inventory and advertising, along with a product that is still federally illegal, it’s not the easiest gig in the world. 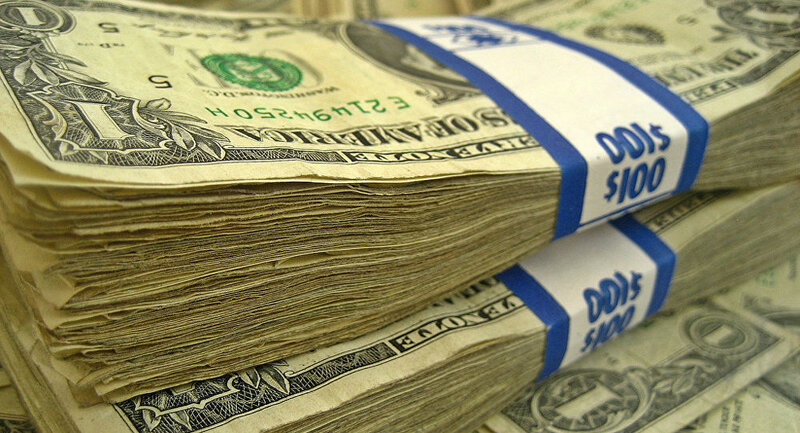 The businesses face banking issues since most banks won’t touch marijuana profits. There are security issues, almost always requiring expensive solutions. Well-trained budtenders have to be recruited, hired and compensated. Costly inventory tracking software and supply chain problems are a fact of life. Special lawyers and accountants, versed in cannabis law, have to be on staff. And marijuana businesses can’t use the normal tax write-offs used by other businesses due to federal prohibition. So what are marijuana profits? Even with all of those obstacles in the way, a legal weed dealer can do okay. According to Marijuana Business Daily, consumers spent a combined $1.5 billion on cannabis in 2016, up 66 percent from 2015. Recreational sales tripled in Oregon from February to August 2016. Early figures from Washington state and Colorado show that 2017 sales are at levels considerably above those of 2016. Recreational dispensaries and combo recreational/medical stores typically have marijuana profits of 21 percent, according to Marijuana Business Daily. But marijuana profits can vary widely based on the regulations of each state and municipality. So let’s compare an average 21 percent profit margin to that of our black-market weed dealer, Frank. At a 21 percent profit, Frank would make $210 per quarter pound versus the $400-600 he currently makes. Bigger marijuana profits, sure, but also a much bigger risk.